Hoping you all had a wonderful holiday weekend and it wasn’t too difficult returning to reality, today. We had some quality beach time, our first 4th of July in 14 years without the bigredguy trying to find a place to hide, good food (lots of mangoes) and much rest and relaxation. It was nice to see our kids celebrating the holiday with their other families out west and out in western Florida, where Nicole went for her final dress fitting with her parents. Emotions are running high for all of us as the big day is now less than 4 weeks away!!!! 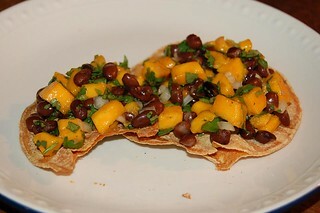 I did want to share the simple mango salsa/salad I made this weekend. With mangoes in abundance this is the time to make this. Delicious as a side dish, or on chips– or good all by itself! Hey, What’s Shakin’ on VFT?? Because Mitch and I have been doing the 30 day ab challenge in the morning, and I have been out to early classes and clients AND my computer was sooooooo slow, I have missed blogging the last couple of mornings, but I can’t possibly miss checking in on Vegan (Feast) Thursday. After a conversation with Rita, earlier this week, I have been revisiting shakes in the morning before work. This time of year, they are so refreshing and so easy to make. I always start mine with some almond milk and half a frozen banana (which means I need less ice). With all the beautiful fruits and veggies that are in abundance right now, it’s hard to decide which way to go with my add ins. Blueberries, strawberries, blackberries…I usually add a big teaspoon of peanut butter (because that makes everything better) and I always add some ground flax seed. What a great way to start any day, but perfect for those looking for alternatives to breakfasts with animal products. Last night I made something like a caponata, but without any sweetness added, and I opted to keep it chunky. It was really delicious, filling and comforting! I chopped up 3/4 of a large sweet onion, some garlic, a large zucchini, a large tomato, and a whole peeled, eggplant. In that order, I added them to a pot with some olive oil in the bottom. I let each veggie cook down a bit, before adding in the next. I added just enough jarred pasta sauce to keep things from sticking and/or burning. When things were starting to soften (after about 15 minutes) I added a box of sliced button mushrooms and some sliced calamata olives. I covered the pot and let everything continue cooking down, on a low heat. I also threw in some chopped up fresh basil and oregano from the garden and some red pepper flakes from the pantry. I don’t know how long it cooked, but not so long that everything mushed together as in a traditional caponata, which you can spread like a brushetta. I ate it with a Gardein burger chopped up in it, but it really is a meal in itself! It would be great over brown rice, or even cold! If you want to make it as a spread, keep cooking it and mash it as you do. YUM!!!! Tonight I get to have the leftovers…and though I am going to grill some marinated tofu I assure those of you that don’t care for it, there is so much more to a plant-based diet than tasteless tofu! (Tofu actually takes on the taste of whatever you marinate it in or cook it with, so you can look at that white block of nothingness). You can definitely do the plant-based lifestyle without it, though admittedly, it is a great source of protein. But hopefully you realize we don’t need nearly as much protein as we were led to believe! If you are doing the ab challenge, today is day 5. We do 30 sit ups, 12 crunches, 12 leg raises and 20 seconds in plank. I’ll probably be back in the morning and will remind you what day 6 holds…. Yes. You CAN Have Your Ice Cream! When I woke up this morning I found this link from our friends at the beautybean.com I will DEFINITELY be trying this soon. When I step away from the computer I am going to immediately freeze some bananas. I just peel them, break them in half and wrap in freezer wrap. 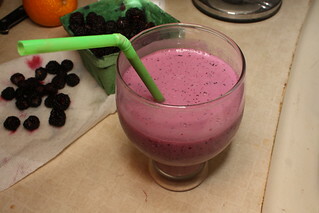 They are always a great way to thicken a shake, and now this….Thanks to Alexis and her gang for this one. Don’t forget to visit her sight for all kinds of great beauty tips, recipes and so much more! Good morning. I politely interrupt the 4 weight loss myths, to bring you our regularly scheduled Vegan Thursday. Later today, Mitch and I will be picking up a friend at the airport, coming in from NY. We haven’t seen Karen in about 30 years! She was my best bestie when I worked in Manhattan at the Muscular Dystrophy Association. We worked together, played together and did most everything together and then, when I moved away, we just lost touch. Ironically, she and my sister, Arlene (who also worked with us), ran into each other only to learn they live right near one another. It’s been a reunion for them, and now for Karen and I. So yesterday, I was in the kitchen making some goodies so today can be carefree. It used to be challenging to think of things that I can eat and non-vegans enjoy as well. The more you learn, the easier things get. As I always say, there are so many foods that are fabulous, and vegan by coincidence. I whipped a bowl of northern bean hummus and with some pita bread chips, it will be a great snack. I baked a bunch of the vegan, no flour, no sugar, no dairy, cookies and made some dark chocolate covered strawberries, which, by the way, came out beautiful. So the sweet tooth is taken care of and today I will fill in some blanks with salad, veggies and ??? My point is, there is NO challenge figuring out what everyone can enjoy together. To make the hummus, all you need to do is rinse and drain a can of northern beans and put it in the food processor with about a half a clove of chopped garlic, the juice of half a lemon and enough olive oil to make it the creamy texture you would want. Always start with less and add more. I don’t measure—sorry! I add some red pepper flakes which gives it a nice kick. For under 1.50 you have a nice size bowl of yummy, homemade hummus. Sure, you can use chick peas or cannallini beans or even black beans, but I am stuck on the northern because of their creaminess! Try it and let me know what you think! 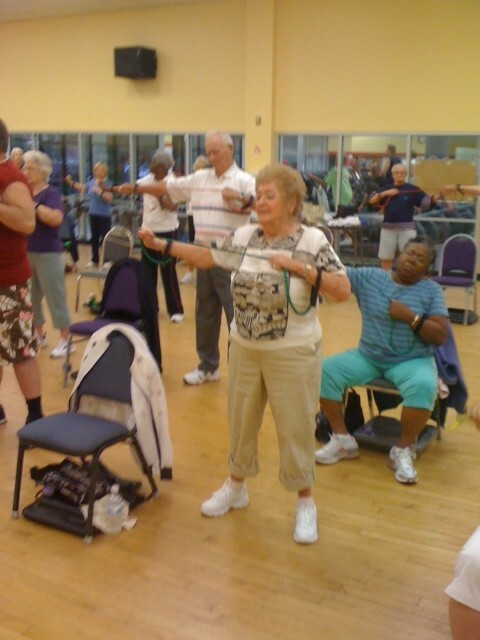 Ellen is on the mend and will be at the gym for her 10 am class this morning. She is unable to teach her 8:30 low impact class on Fridays for a few weeks but will be there tomorrow for her 10 am class and for all her regularly scheduled SilverSneakers classes. I am unable to sub for her on Friday mornings as it conflicts with my own work schedule, but it was nice to catch up with all her students earlier this week, and I am sure they will be thrilled to see her back, today. I hope you will consider a meatless meal or 2 or 3 today. The more we learn about the negative impact on our health from too much animal protein, the more it makes sense to at least limit the consumption. Every single time you choose to avoid the animal protein, you make a positive impact on your health, your furry friends and your Mother Earth. That’s a triple win, in my book. I will be back tomorrow with the 4th, final and hardest to admit myth….until then make it a great day. Namaste. Baking directions: Preheat oven to 350. Line flat tray with parchment paper. Peel and mash bananas, then add oats and mix well before adding chips and raisins. Scoop spoonfuls of “batter” onto baking tray. They wont really rise or spread so you don’t need much room between them. I can fit about 14-16 on a tray. Bake for 20 or so minutes (sometimes a few more). Once you remove them from the oven, let them cool for just about 5-10 minutes, max. Use the back of a spoon and press down in the center of the cookie to make a little “well.” Add a dab of peanut butter to the center of each cookie. Let them sit for another 15 minutes or so until the peanut butter sort of melts on to the cookie. Then place tray (or transfer to plate) in the fridge and enjoy knowing that these cookies are free of dairy, eggs, sugar and flour and are under 100 calories per cookie. You can eat these as a treat or even eat a couple with a glass of almond milk as a healthy, vegan, low calorie meal.